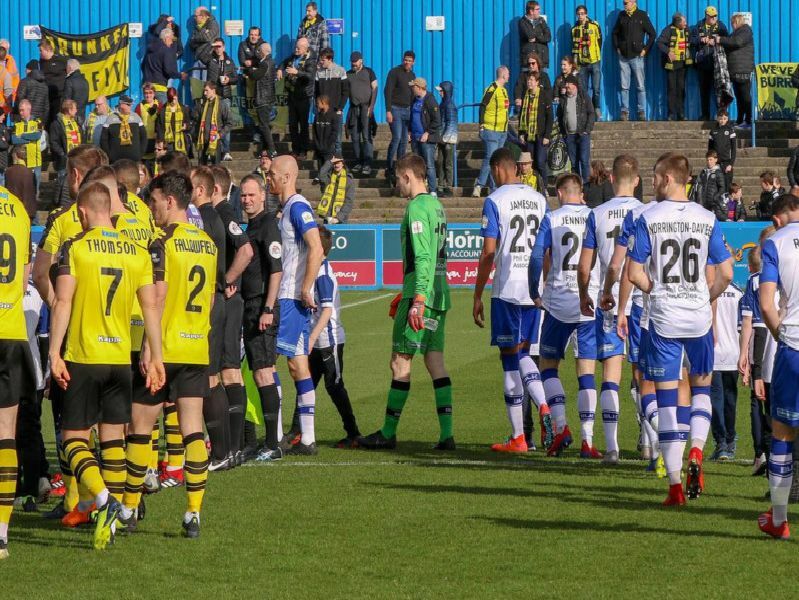 Harrogate Town dug deep on the road at Barrow on Saturday afternoon, coming back from two goals down to draw 2-2. James Belshaw 6. Tidy enough handling throughout. Left exposed in the first half, though was better protected during the second. Ryan Fallowfield 5. Endured a torrid first 45 before being replaced. Gave away a penalty, booked and was walking a tightrope with the referee. Been excellent in recent months, so can be excused one bad game. Callum Howe 7. Overworked during a tough opening period, but dealt with plenty of dangerous balls into his box. Popped up with the all-important equaliser. Kelvin Langmead 7. The birthday boy used all of his nous and experience to ensure that he was in the right place to make a number of crucial interventions close to his own goal.